Microsoft to reveal Windows 9 at Build 2014, with release in April 2015? Microsoft seeking to move on from Windows 8 with a quickness? Microsoft will cause a major surprise at its annual Build conference in April by revealing the Windows 9 operating system, according to reports this weekend. Well-connected Microsoft blogger Paul Thurrott claims the company plans to release Windows 9 (codenamed Threshold) in April 2015, less than three years after outing its revolutionary Windows 8 OS. 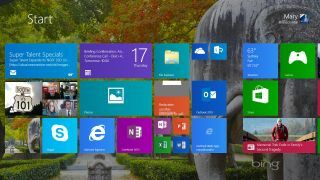 The new OS will not be a huge overhaul, but the fast transition is aimed at leaving behind some of the criticisms associated with the Windows 8 moniker, allowing Microsoft to move forward with a clean slate. "To distance itself from the Windows 8 debacle, Microsoft is currently planning to drop the Windows 8 name and brand this next release as Windows 9. That could change, but that's the current thinking," the report claimed. Recent reports have suggested that the Threshold update will see a full return of the Start menu, while also allowing users to run 'Metro' apps in desktop mode. "Maturing and fixing the "Metro" design language used by Windows will be a major focus area of Threshold," Thurrott added. "It's not clear what changes are coming, but it's safe to assume that a windowed mode that works on the desktop is part of that." Microsoft will pitch this change as Windows 8 laying the groundwork for change, rather than acknowledging it has failed to resonate with traditional PC users and the new tablet-friendly audience it has tried to snare. Build 2014, Microsoft's annual developers' conference, was expected to focus on Windows Phone and Xbox this year, but the launch of a major new PC operating system would surely trump anything.